It’s time for change. It’s time to renew. For way too long we have battled with our body; striving for each new claim to health. What if we decided to take a different approach and let the pressures of the world fade away? What if we take our health and tackle it from the inside out? we will consider and explore the 3 layers of our beings, be aware of what we are consuming, overcome struggles, and renew our minds and hearts; giving us a solid foundation to live a more health-full, joy-full life. will include 4 unique workouts, sample schedules, a movement guide, weekly emails containing written and video lessons, including reflection worksheets to help you take action. 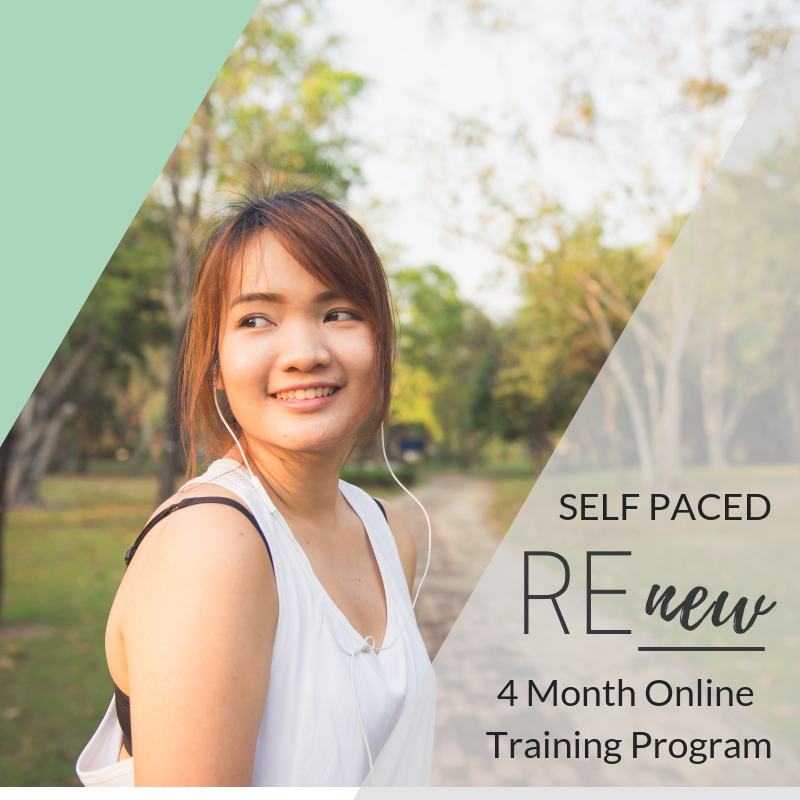 If you are confident about staying accountable to this Self Paced program, this may be sufficient. If you would like additional accountability, you may consider our Group Accountability package. 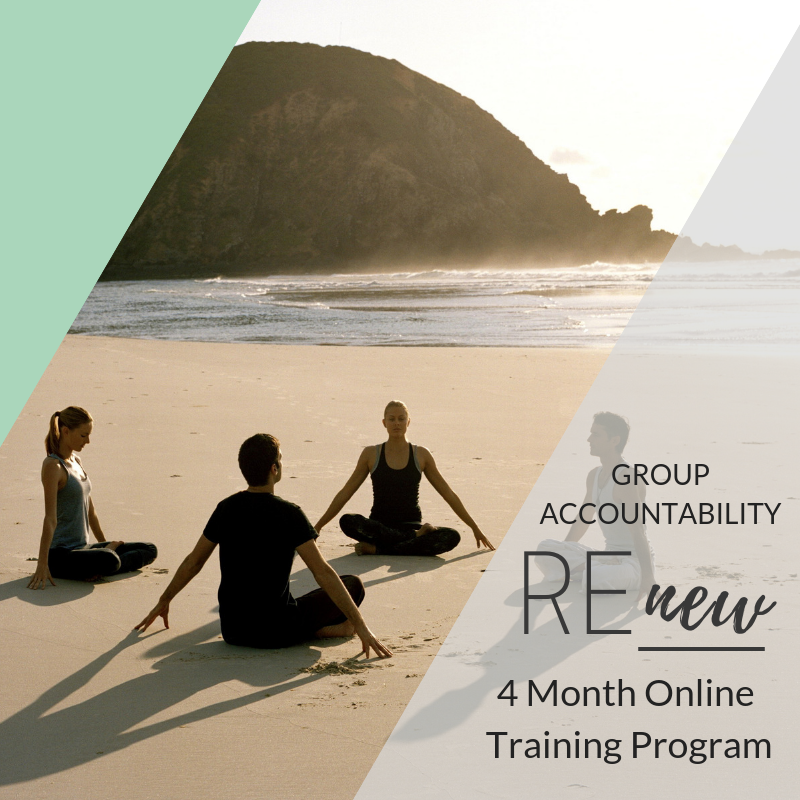 The Group Accountability REnew package will not only include monthly workouts and weekly email communication, but also a private Facebook Page for group accountability and 8 live small group chat sessions. There is something special about doing life together. I am so grateful to be on this journey with you. The American Society of Training and Development (ASTD) did a study on accountability and found that you have a 65% of completing a goal if you commit to someone. And if you have a specific accountability appointment with a person you’ve committed, you will increase your chance of success by up to 95%. If you are serious about making daily nutrition and movement part of your life, I would recommend joining our group accountability. This will be a more personal experience where we are able to keep open communication throughout the program.